Weak and nervous men-this is for you - Amirite? - Post your opinion and see who agrees. Yeah, well that was before they discovered just how lucrative a "war on drugs" could be...and on how many levels. Yeah, but Heroin really worked to stop coughs. Hmm... it suppresses the tickle in your throat, eh? I'm surprised John Harvey Kellogg didn't recommend it for other purposes as well. HA HA HA! 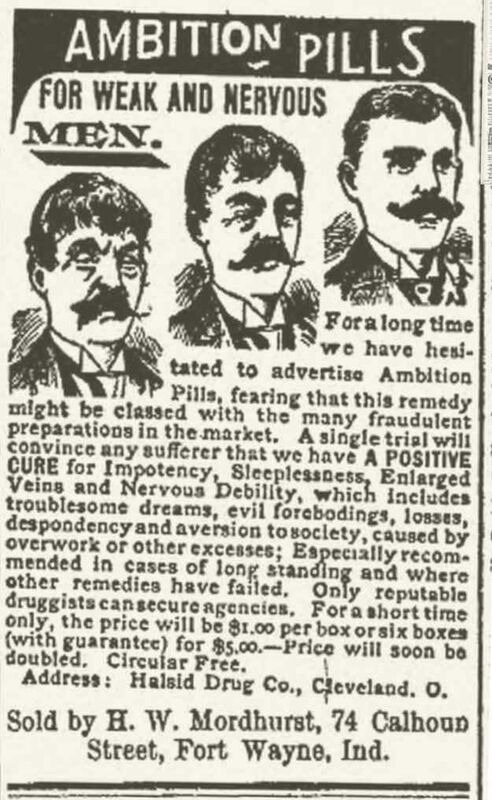 I think they used to market that to women back in those days as Laudanum. I read my John Harvey Kellogg! Masturbation causes all the conditions these pills cure, and more! Read Chapter 10, if you don't believe me. OMG, you mean people have been eating corn flakes and graham crackers all these years for nothing...?